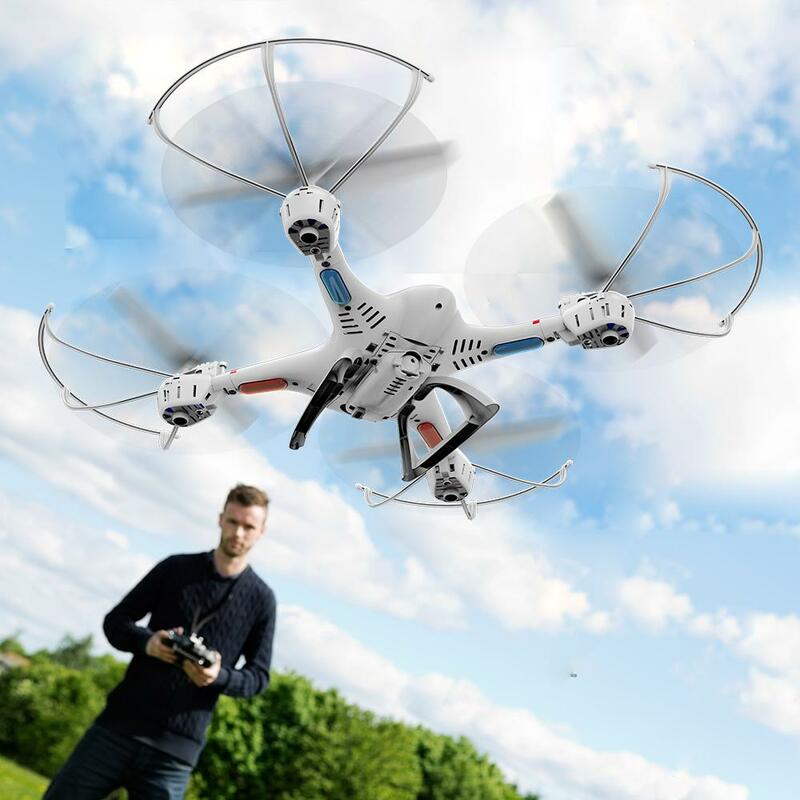 The helicopter is built with #C4005 high-pixel camera, with Intelligent Identification PCB, you can take video when the helicopter is flying. 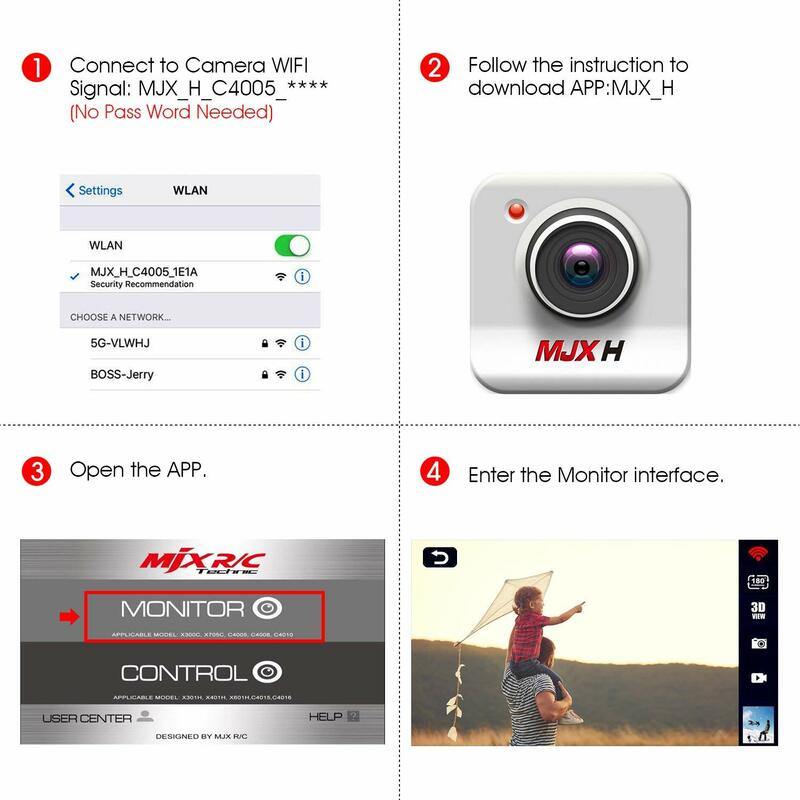 With the built-in wifi module, you can see exactly what your camera sees with a live video on your mobile device via the App : MJX H.
The photo and video can be stored both on the mobile App and the TF card with Hi-Fi, so that you can share it with your friends anywhere you want. 3. 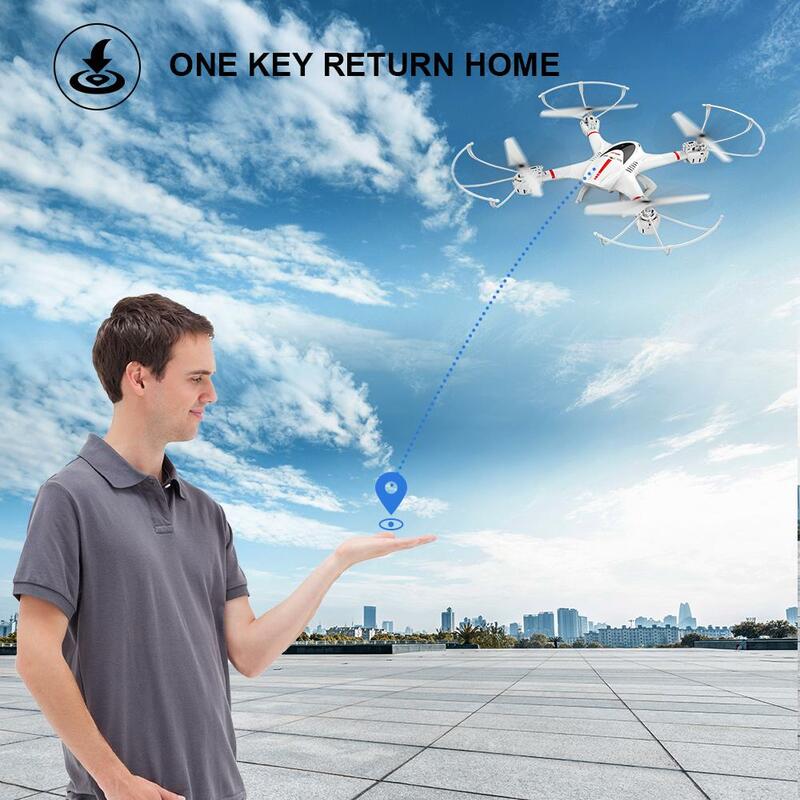 Safe Flight Guranteed – Drocon U31W comes with both Out Of Range Alarm And Low Battery Alarm, no worry about losing issues any more. 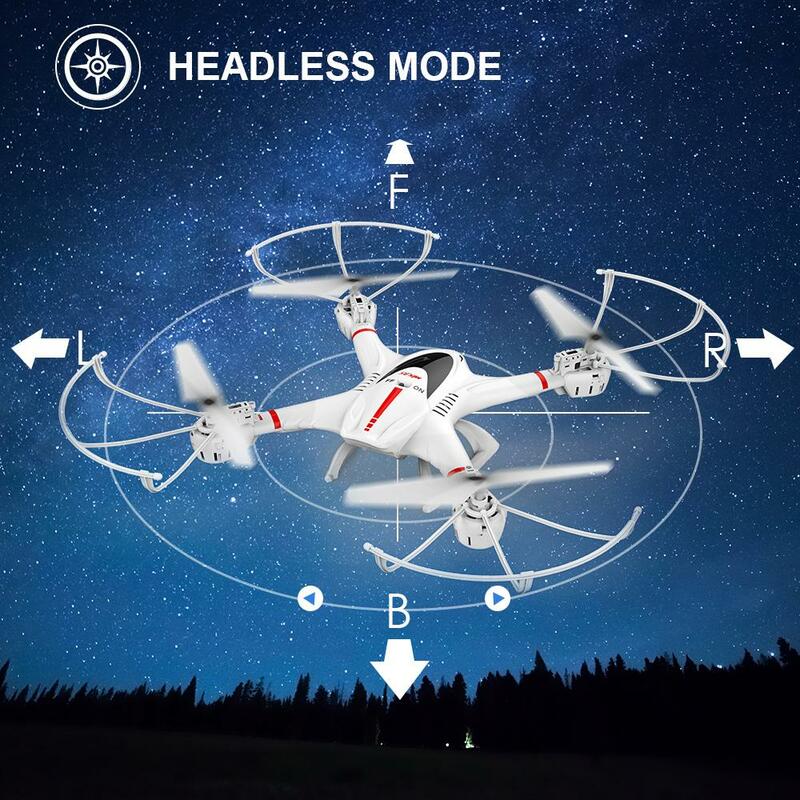 DBPOWER X400W supportsheadless mode, no worry about the orientation of the quadcopter anymore. 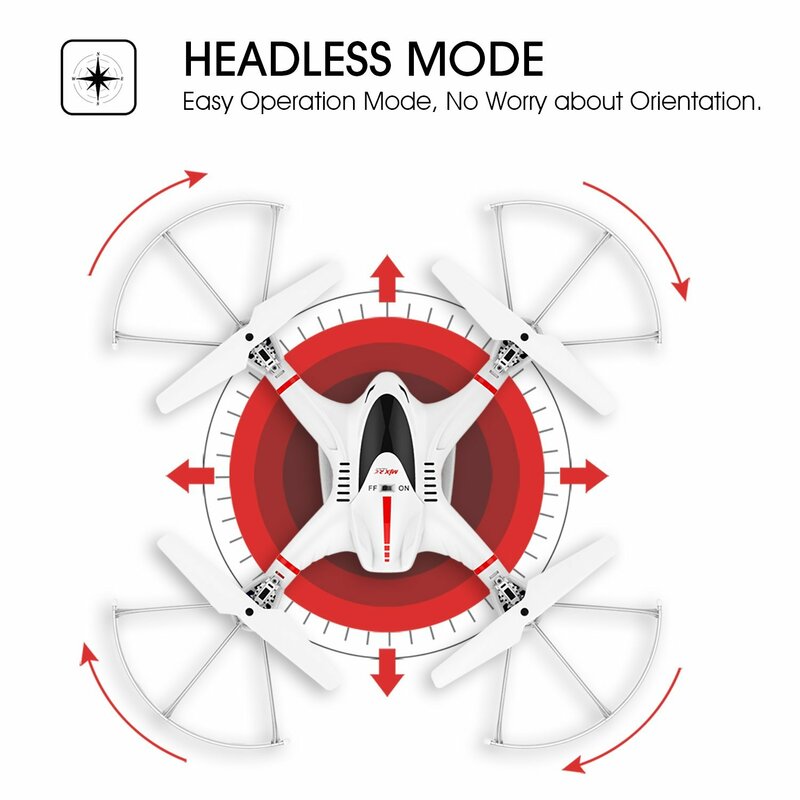 Under the Headless Mode, with one click on the function button, the drone can return automatically. 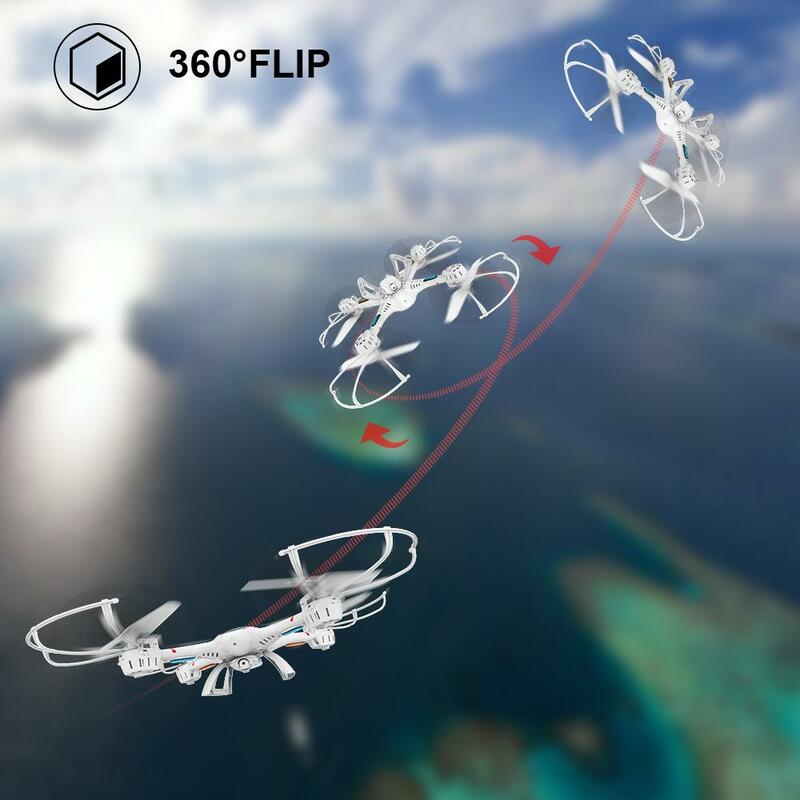 Make your flight with more fun by stunt the drone in the air. Once you are experienced enough to control the drone, you can utilizing it at weddings, birthday parties, holidays and family gatherings. It is a great way to record memories in a new concept. 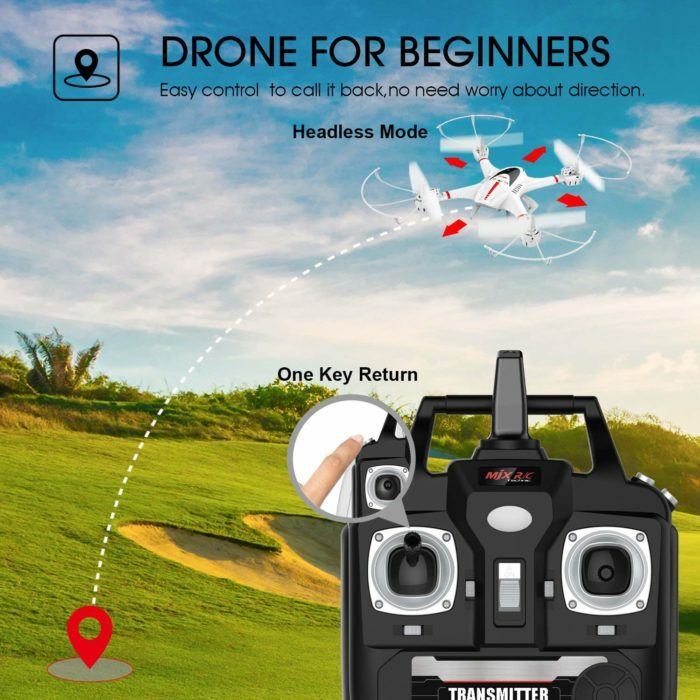 Question: What happens if the drone somehow goes out of range? Answer: It flys off like a rocket. Sad to see it go, as it was/is a fun little drone, but yeah, I made the mistake of taking it too high. Then it was caught by some fast moving wind up there and it was long gone and out of sight before I could do anything. I’m sure it went for miles, as it had a fully charged battery. Question: I have assesmbles everything properly now it’s not taking off and just spinning in circles, any suggestions before I give up? Answer: You could check whether the propellers are placed correct or not. Every propeller which has the same letter (A/B) must be installed at a diagonal line. You could also contact service(at)unicdrone(dot)com for more help. Answer: Hi, this problem might be caused by a hard crash during the flight, and it might cause a problem on the cord connection on the motor. Please contact with us via Amazon Message, we will help you to solve the problem. Question: What is the range of the camera? Answer: Normally the FPV distance is 30-50 meters. Any using problem with this drone, you could contact service(at)unicdrone(dot)com for more help. Question: Are there any camera upgrades that are compatible with this model? 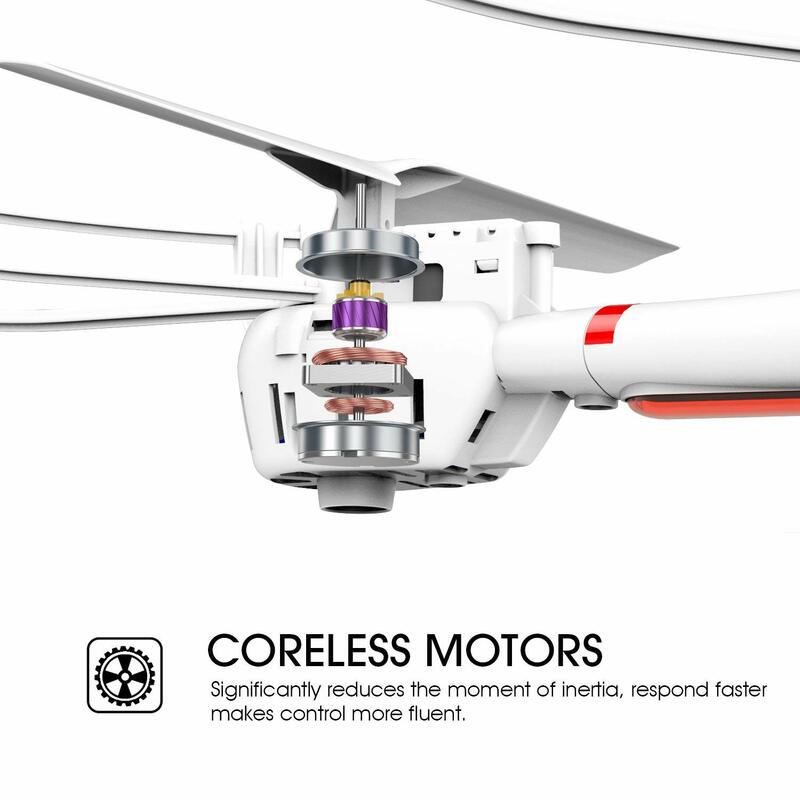 Answer: The MJX C4005 or C4010 are bother compatible with this drone. Question: How do you get replacement screws? Question: How many megapixels is the camera? Answer: 1MP,but pay attention that the flying height should not be too far away, or it will impact on the transmission and the picture quality. Question: Is there a carrying case made to fit this specific quad or something universal that is very close in size? Answer: Sorry we don’t have that case for sale. Works great. Just wish battery lasted a little longer but it does great! I wish I would have order extra batteries and charger. So far I’ve crashed quite a few times (inside my home) and it keeps on going as it when out of the package. It’s a great learning quad. I’d recommend starting here before moving up to brushless/expensive models. As described by seller runs great. Really easy to learn to fly and fun. Camera does a good job and have had it in light breezes with no problem. Great first drone so far! Only 2 hours from the time it was dropped at my doorstep to assembly being completed, battery being charged, iPhone 7 synced, and first flight completed! Only thing I needed was 4 AAA batteries for the controller. Great for the price thank you guys. My 12 year old daughter was itching to get this going so she opened it up, assembled and charged it all on her own. We took it out after charging and both crashed a few times but started getting the hang of it. It’s really resilient as we’ve brought it down hard many time, into a tree and even got it stuck under a parked car. Every day this week she’s come home from school and gone right for it and is now getting pretty good at flying it around our neighborhood which has lots of trees, houses, cars, dog-walkers, you name it. We’re looking forward to taking it to the park so we can venture out a little higher and further this weekend. This is my second dbpower drone. This one performs very well. The first one wss my learning drone, i parked it on top of a very tall tree. I lived it so, i didnt hesitate to order the socond one. 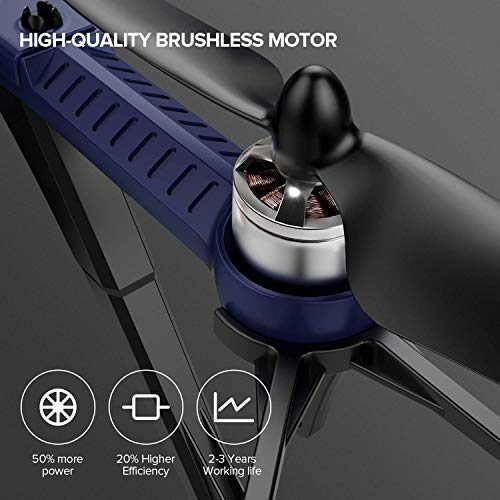 Pretty good drone for the price! Amazingly low price on Amazon right now. It’s definitely an entry-level drone, and it seems to work pretty well for me. There’s a little assembly required, but it comes with the screws and screwdriver necessary, and it’s even slightly magnetized to make it easier to screw everything in. The instructions were also all pretty clear, and overall I don’t really have an issue with the drone. 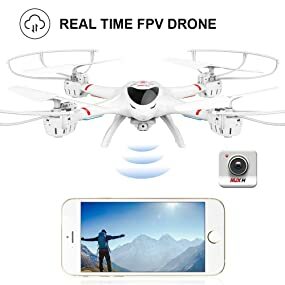 Definitely a pretty good starter drone, and I like that it has a camera as well. i was so satisfied, i bought a 2nd one! 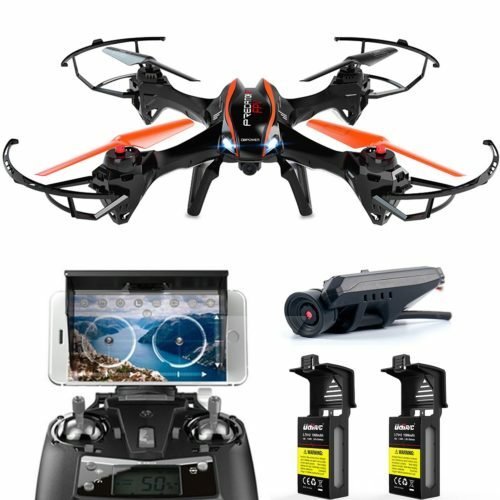 for the price (i paid around $40), this is an awesome drone to learn on. it is super durable (i crash-tested mine A LOT when i first got it 😬) and when it does “break” it is very easy to fix. battery life is about 15 minutes fly-time off of a 90 minute charge. 4 extra batteries with charger was $15. the camera is nothing special, but it easily paired to my phone and captures decent pics (attached pic was taken above my apt) & video. 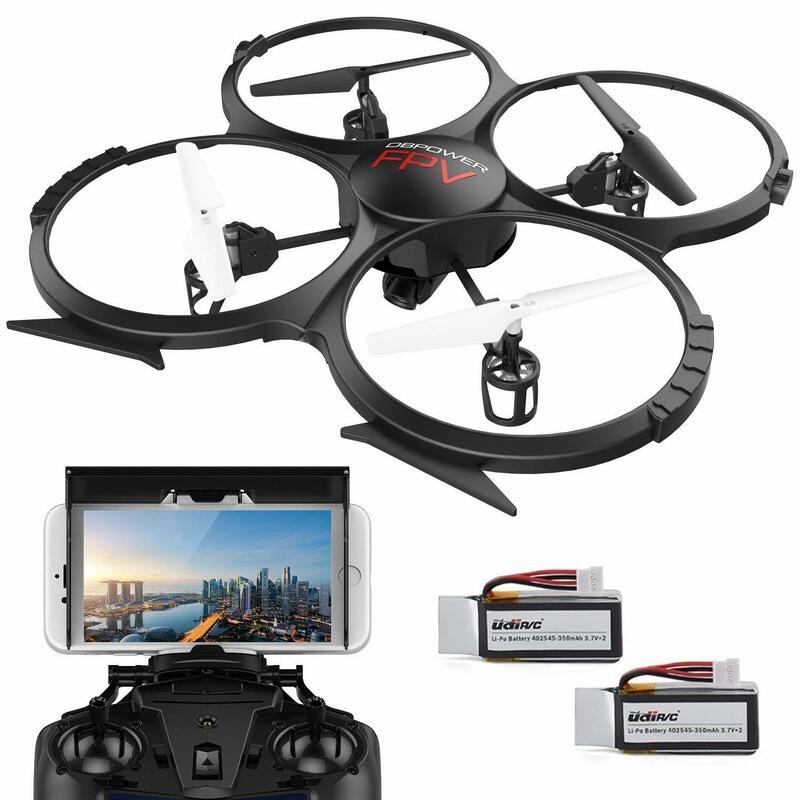 highly recommend this for first-timers, young teens, gamers… the X400W is a great introduction to droning as a hobby. Still flying after a week! It is a very nice drone. This is a great flyer and somewhat wind resistant. 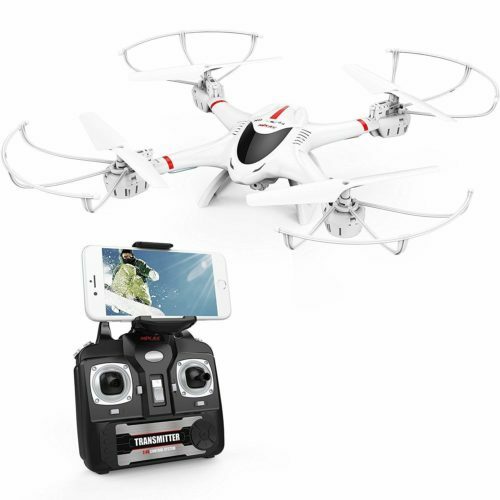 Great starter drone to get you off and flying as your experience grows. Best bang for the buck!..well made and should it need repair it is very easy to change out props or motors.very good support staff to keep you flying happy. I really like this drone. The camera was easy to sink up with my phone and it flies great for me. I am having a blast with it. This is my first drone bigger then the mini drone I fly around my house. My daughter wanted to try it and did good for her first time. 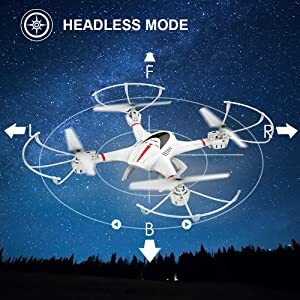 it help her a lot that this drone had a begginer mode so she did not have to worrie about it turning left or right on her. This is a good drone for someone who is just starting. We love it! 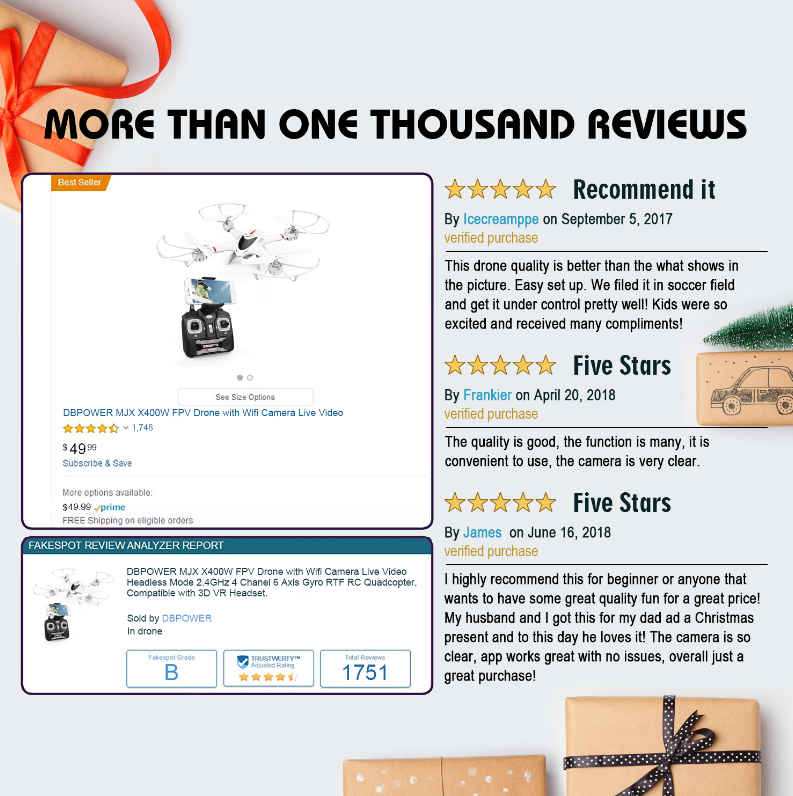 Fun drone – great customer support! This has been a lot of fun! The setup is easy and getting a handle on learning to fly it was quick. Customer support was great too! When I had a small problem they were quick to respond and provide a more-than-expected resolution! The wifi was not working properly on the drone, but when I explained, they sent me a full replacement! and quickly too! So good so far I got for my husband he likes it so much but the battery dosen’t last more than 10 minutes !!!! 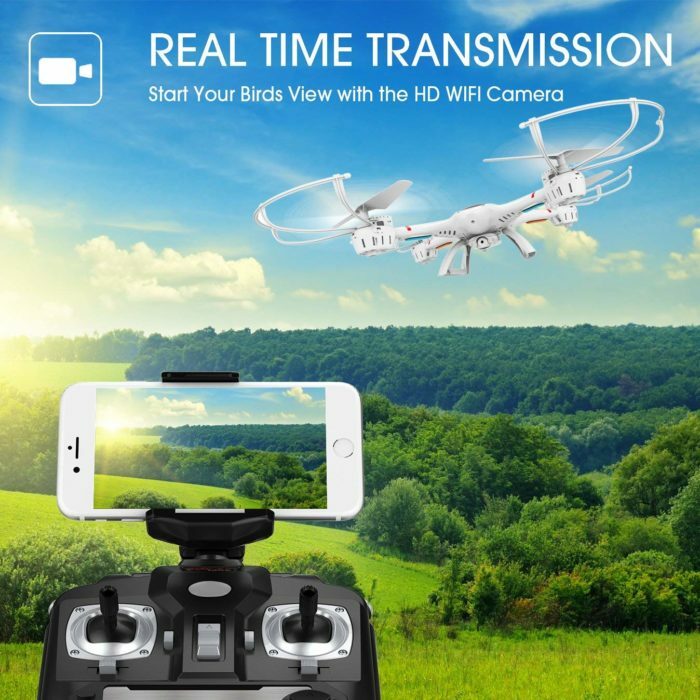 I love this drone very easy to setup and to fly! Works as advertised. I’m still learning to fly it, but it is easier than the cheaper mini drone it replaced. It was bought as a birthday gift. The birthday boy loved it so we are happy! Give this to my friend’s daughter as a gift and she loves it! Perfect for kids. Easy to put together and easy to control! So far,everything is fun, it doesn’t charge that long as the instructions recommended, and it’s also give some extra screw propeller. 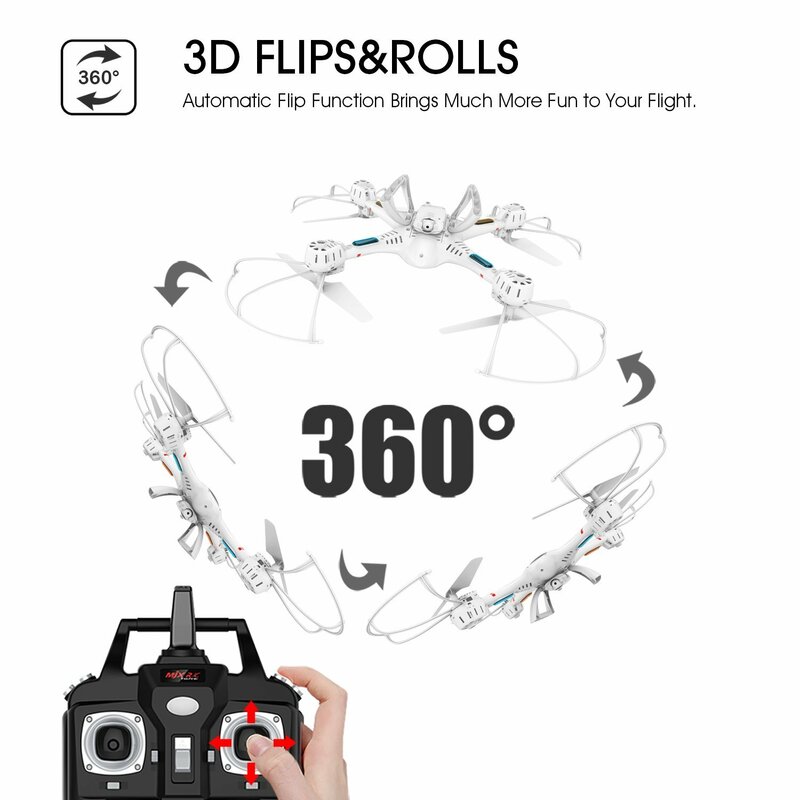 I met some difficulties when I tried to connect the Drone and the remoter, then I contacted with the seller and they nicely to teach me to put two lines together and then things works well! Great experience! Worked exactly as advertised and was easy to get used to. The battery doesn’t last long, but we knew that going in. this is a God send. It’s very well made and very stylish. The camera is clear, it’s easy to control. Bought this drone for my husband as a Father’s Day gift, and he is absolutely thrilled with it. He can’t wait to take it out for a spin. The Drone is easy to manipulate. It is easy enough to practice in a limited place like the backyard. I really enjoy playing with the drone and it can bring me a bird eye view of the my house. It is fantastic. What’s more, from my experience, this drone is durable and high quality and has all of the high features like hover, headless mode, and emergency stop. At very beginning, flying a drone is some kind of challenge, however, after one or two practices, that is easy to control the drone and enjoy the fun it brings to you! 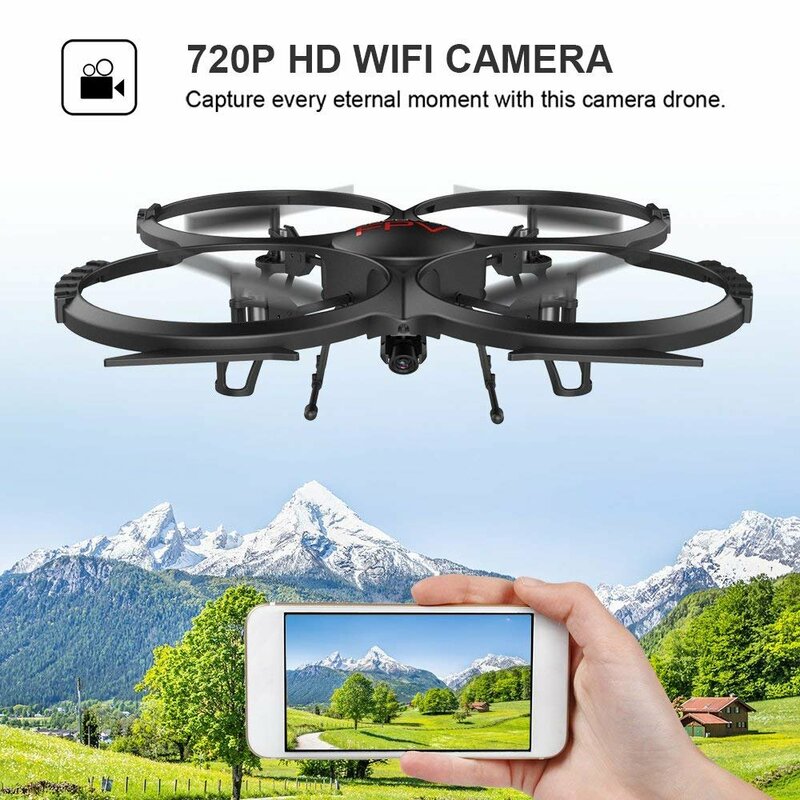 Great entry level drone. A lot of fun with my seven-year-old. 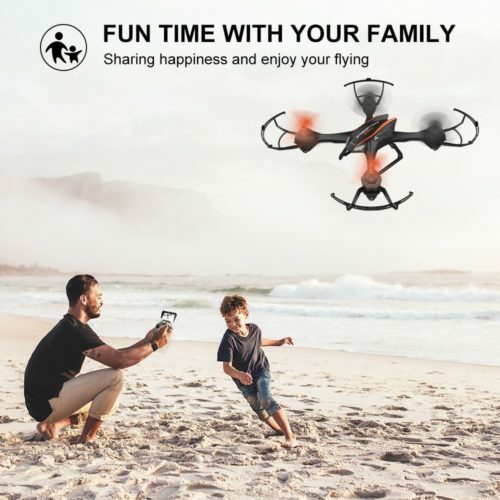 (I am 10 years old and my mom is typing my review for me) This product is extremely fun, very easy to use, and the company gave me extra propellers, screws and a very tiny screwdriver to make necessary repairs. But I only give 4 stars because some of the propeller mechanisms break easily. though this MJX is a little small for me, it works well.what’s more, the price is meet my satisfaction. When The first time I play it, I can’t control the direction fluently. But I get the point after playing it a few minutes. I like use it to take pictures for my daughter. It’s nice! Lots of fun, first drone experience ever. Broke a prop guard on first flight. It’s going to take some getting used to for a newbie but seems resilient. The broken guard does not affect flight. Start inside on a level surface. Would recommend as an entry level drone. Tons of fun. Once I actually read the manual and figured out how to trim the flight, I really started learning how to fly this — and I am having a blast. I haven’t even tried the FPV yet, but that looks like it could be fun, too. 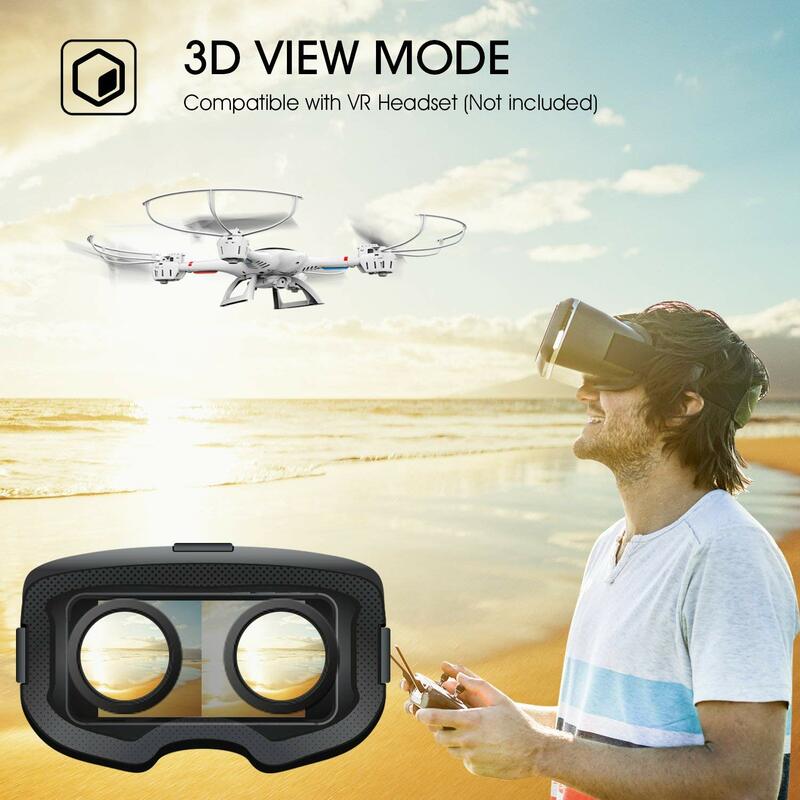 I would definitely recommend this as a low cost option to try your hand at drone flight before dropping a large sum of money on a really nice one. I can’t vouch for camera quality at the moment, but my expectations are quite low at the moment (I didn’t spend very much money at all, I’m not bound to get amazing video off of this). 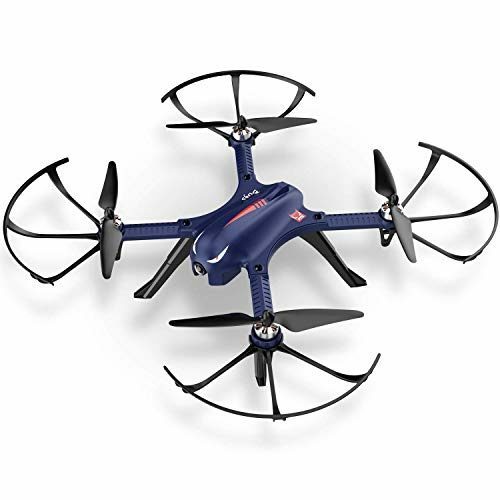 I’ve only been terrorizing my toddlers and the cats indoors, I still want to take it outside to play with it, although I’m afraid I’ll lose it in the river or someone’s pool with where my flight level skills are now.